Browse today's Calgary condos & Calgary real estate below! Afford a great lifestyle and make a solid investment in Calgary's competitive real estate market. Whether you're looking for a uniquely-styled community outside the city core, or a modern loft right in the heart of downtown, you'll find worlds of choice when it comes to how and where you want to live. Downtown or out-of-town — a condominium in Calgary, Alberta is where you want to be. To learn more about condos available in Calgary, Alberta or to set up a private tour, contact your Calgary condominium experts today. 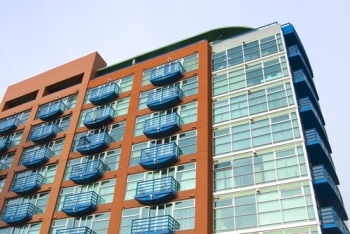 Read more about Calgary condominiums. Plan to buy or sell a condo in Calgary? Contact Justin Havre at RE/MAX First for expert guidance through the Calgary AB condominium market from your local real estate agents. Call 403.217.0003 now! Approximately three quarters of all condos in Calgary are priced between $200K and $350K, making them an excellent choice for first time home buyers, investors and downsizers. In general, a condo is significantly more affordable than the average single-family home, but with a wider range of conveniences and lifestyle advantages built right in. You'll also find some of the most exquisite luxury condos on the Calgary market. These multi-million dollar penthouse properties have been designed for the buyer who demands a little bit more. Check out beautiful high-rise units in the commercial district and innovative Eau Claire condominiums like Point on the Bow. You'll find riverside condos, developments connected to the C-Train extension, penthouses with unrivalled views, homes for golf lovers, the 55+ set, and modern hamlets designed by award-winning planners like those at Arbour Lake and Country Hills Village. When you purchase a condo in Calgary, you receive all the benefits of owning a home, but less of the hassles. Condo ownership comes with a large number of perks that can add hours to your day and give you great peace of mind. From landscaping and maintenance, to concierge services, pools and fitness centers. Want room service everyday? Many of the newer Calgary condo developments also offer hotel services to residents. Interested in buying or selling a condo in Calgary? Let our local real estate professionals help you through the purchase of your next Calgary condo or expertly negotiate the sale of your current residence. As local real estate agents, we're experts on the market dynamics unique to Calgary condominiums. Contact Justin Havre at RE/MAX First to learn more about buyer or seller representation. Looking to sell your Calgary condo? Get in touch to learn more about the possible resale value of your property in Calgary!